None of the drivers can't be too sure that he never in life will not fall into an emergency situation where he will need the help of traffic police. As street payphones are fading, you must know how to call the employees of the service via cell phone. Being on the road, the driver of every second in danger that can arise from everywhere. Running in the wrong place the way baby, public transport and counter-flows of vehicles can at any moment lead to a traffic accident. If an accident does occur, you must call at the scene of the traffic police. Landline telephone in this case to use unlikely to succeed, so call the personnel best with a mobile device, among other things, it will be much faster. If the driver uses a SIM card from MTS or the Megaphone, it is necessary to dial the mobile phone number 112, and then press the "send call". In the case of SIM-card from Beeline will need to dial 112 or 911, and then use the button "call". It would be nice if the driver will have in his notebook the numbers of emergency services of the city, namely, all regional departments of traffic police. If you look right there, it will be possible to save time. Record this number preferably in the format "8" - area code – phone number. In addition to the number of traffic police, necessary in the mobile phone have to have an insurance company that can also cause inspectors to the scene. 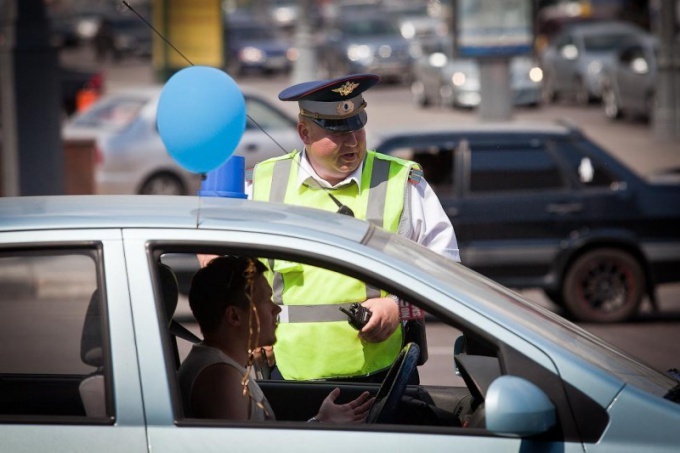 The driver may also need the phone numbers of the inspectors who are responsible for the evacuation of cars after an accident; medical centers where you can undergo an examination; the internal police unit that combats the illegal actions of their colleagues, as well as the phone number of the ambulance. When you call in the traffic police need to be submitted, the duty to inform on a traffic accident, have to say about the victims (if any), and clearly indicate the place of the accident. The most important thing after an accident is to remain calm, in addition, you should try to help the wounded participants of the incident.